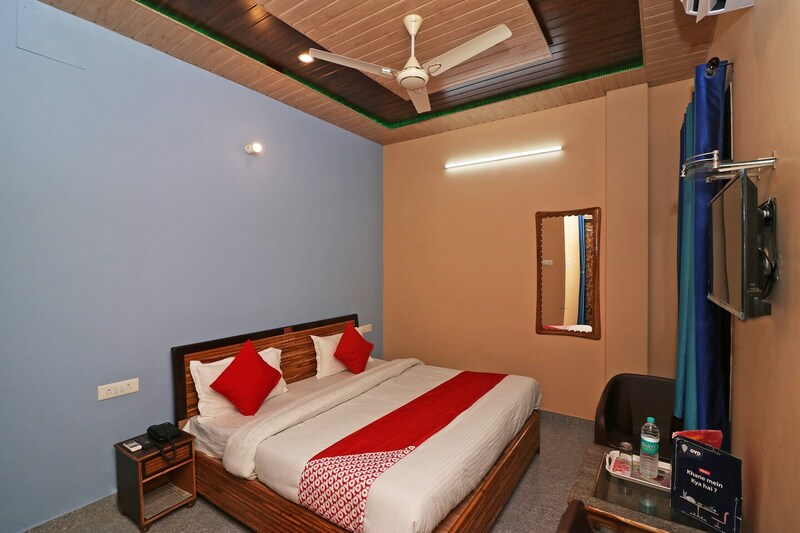 Rudraksh hotel is a cosy budget hotel on Idgha Road in Corbett Ramnagar, and just 10 minutes from the popular attraction, Corbett National Park Jeep Safari. The hotel has cosy rooms done up in bright colours, and the bathrooms are trendy and clean. Each room has TV, AC, seating area, and there is an in-house kitchen too. Parking and CCTV security are other advantages. Panchvati Restaurant, Delhi Darbar Restaurant, and Shama Restaurant are few of the eateries located near the hotel. Kosi Bairaaj Park, Kosi River, and Balaji Mandir are the nearby attractions.